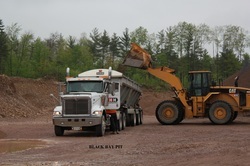 H&H Construction Inc. considers the health and safety of its employees and associates to be of paramount concern and in the spirit of personnel well being the Company has developed a comprehensive Health and Safety Program. Special attention and adherence is paid to the Ontario Occupational Health & Safety Act, Ontario Industrial Safety Act, Ontario Construction Safety Act, the Ontario Mining Safety Act and Accessibility for Ontarians with Disabilities Act 2005. The Company also realizes that employers who do not actively monitor and improve their health and safety performance, place themselves in jeopardy, these risks can be alleviated through vigilance, and continual effective communication with employees about health and safety matters. H&H Construction Inc. believes in managing risk. Drug & Alcohol testing in this company is used as a means to keep workers safe and healthy at work. H&H Construction Inc. 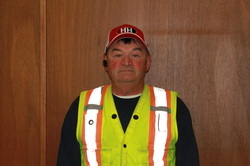 Employs a full time company safety officer who is responsible for maintaining the company health and safety program, promoting the company safety policy to clients and employees, completing on site visits ensuring the company safety policy is being followed by all employees and completing all orientation and training to employees of the company. The safety officer possesses an Ontario Construction Safety Officer Designation Certificate which was achieved through a set of fundamental courses on health and safety in construction through the Construction Safety Association of Ontario. The safety officer also holds a Law Enforcement Degree as well as a Health & Safety Degree. H&H believes that every employee in the construction, Industrial and Mining industry is entitled to work in a safe and healthy environment. Management is committed to provide a safe and healthy environment and will take every precaution to provide such an environment. Our goal is to prevent, eliminate or minimize the hazards, which cause accidents and injuries. Every worker must protect his or her own health and safety by working in compliance with the law and safe work practices and procedures established by the company.